Sowerby-Bridge-Blog is your chance to add anything you desire about anything to do with the area. It could be an event, pictures, full feature on an Elland subject or just an updated address. Fill in the form at the bottom of this page and join in with our growing collection of our towns collection of information and memories. 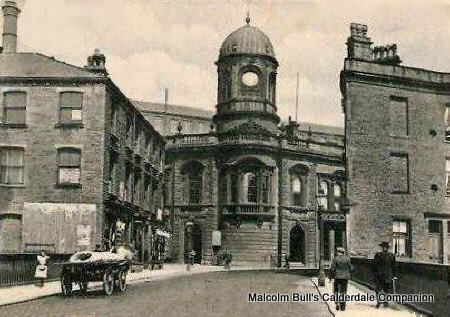 Not a lot has changed in recent years according to this excellent picture of the old Town Hall.